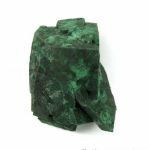 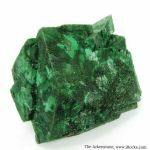 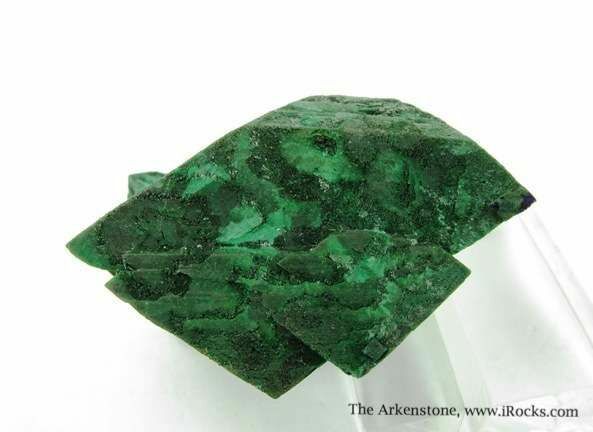 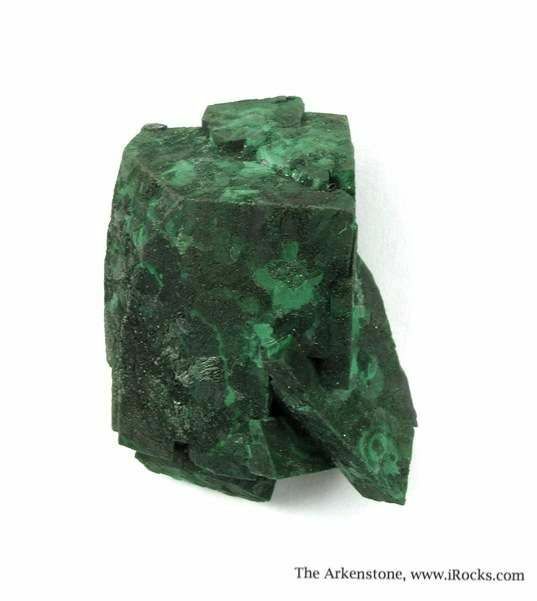 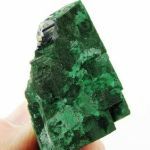 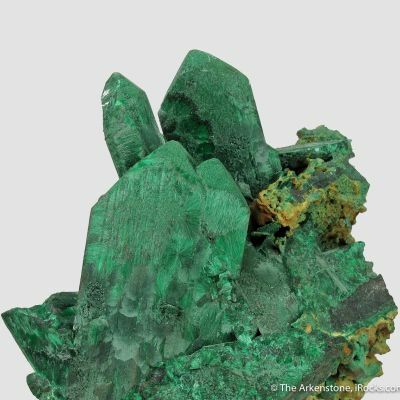 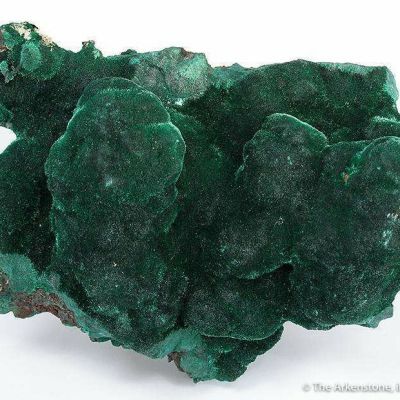 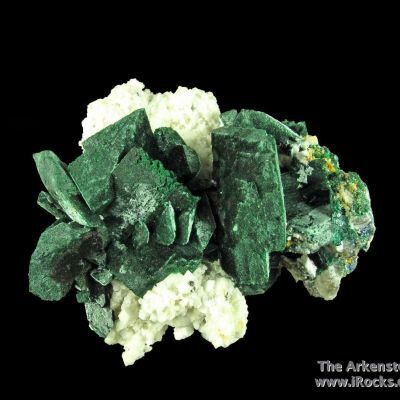 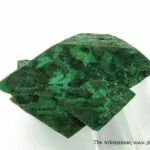 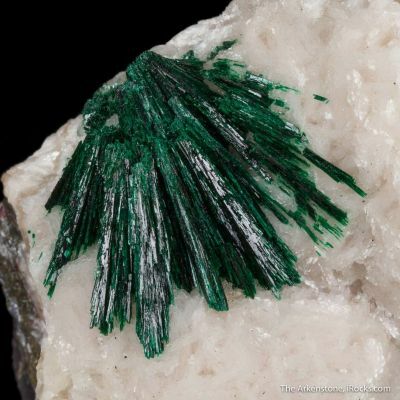 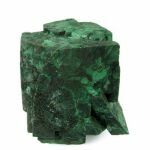 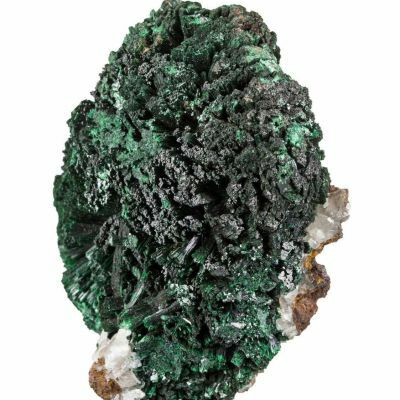 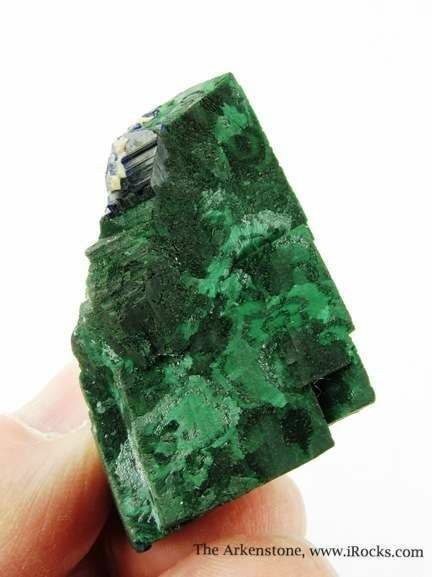 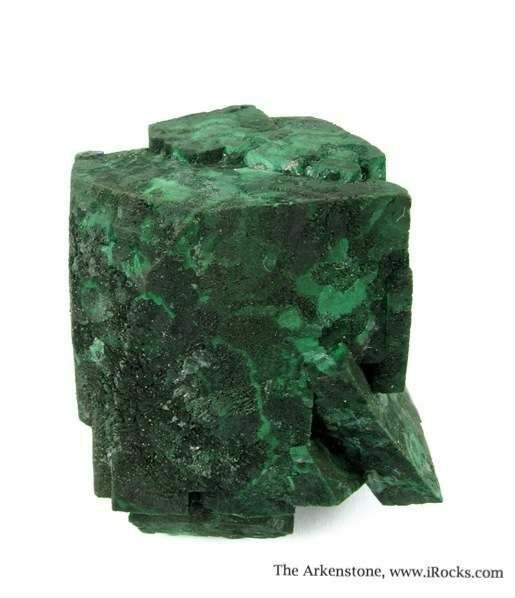 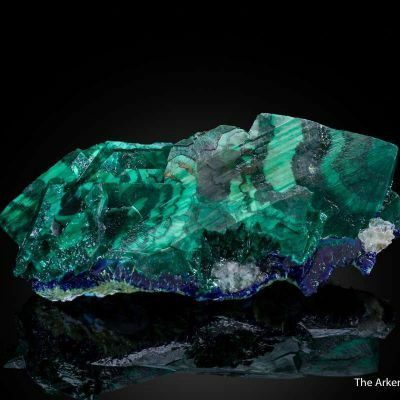 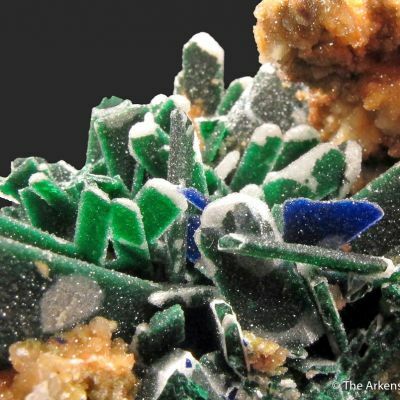 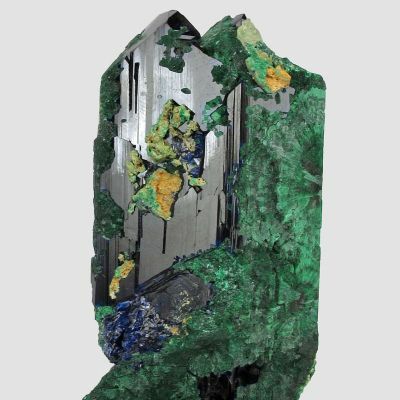 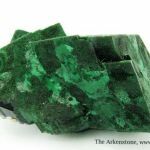 Super-sharp Malachite after Azurite pseudo, where the original forms of the four Azurites are perfectly retained, right down to the contacted area on the back. 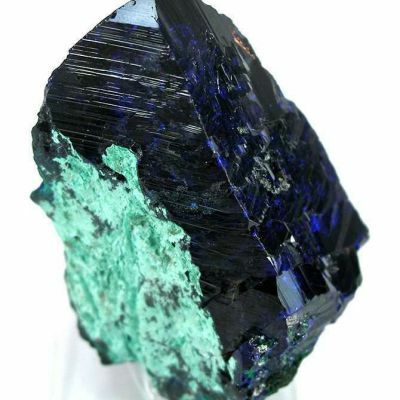 The largest crystal is 3.7 x 3 cm, and it is very sharp. 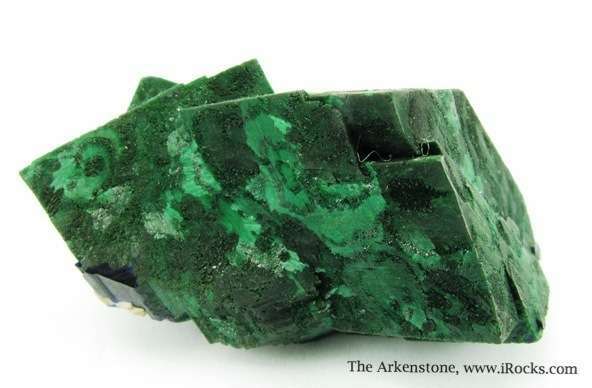 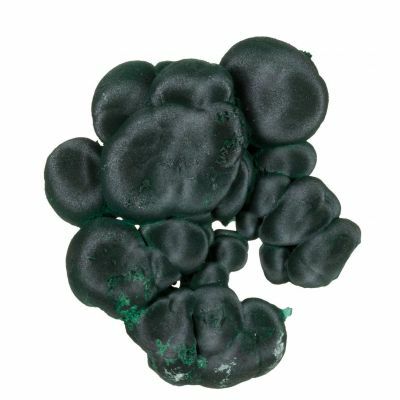 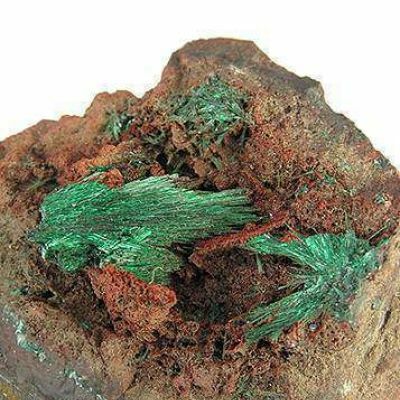 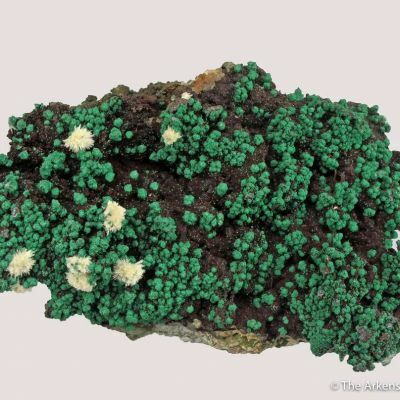 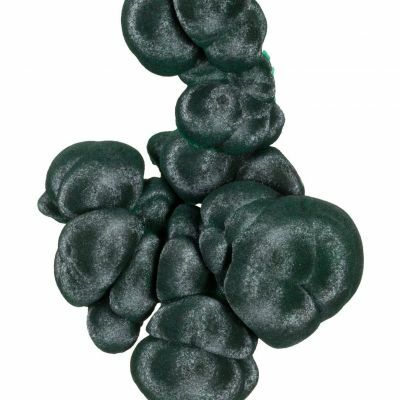 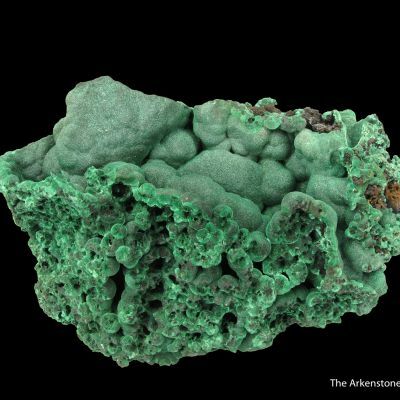 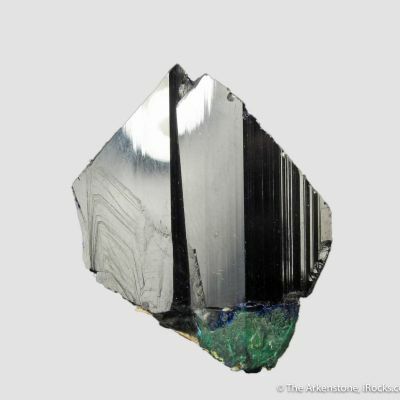 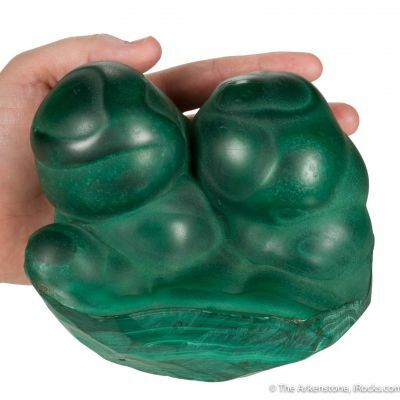 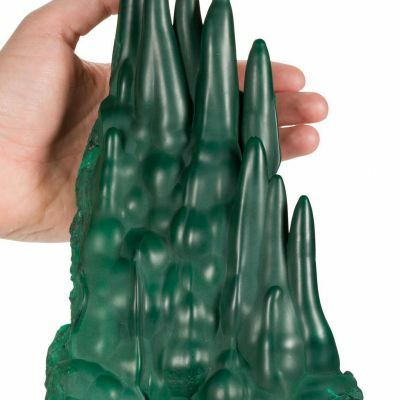 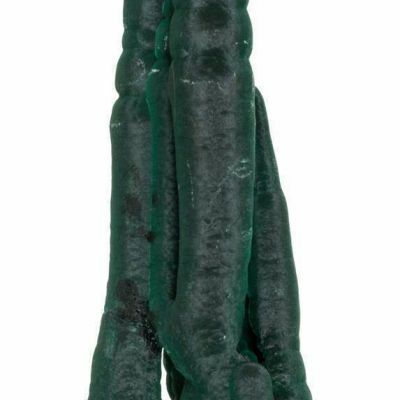 The Malachite surface has a beautiful, variegated iridescent green color and luster. 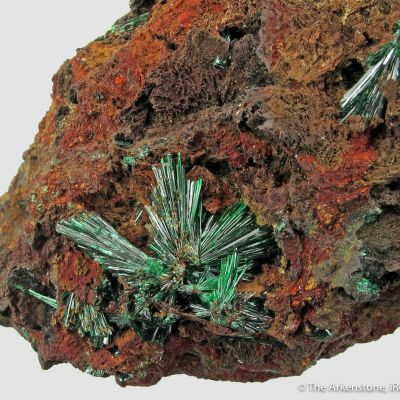 A superb pseudo with great aesthetics, of a classic style unique to Tsumeb.